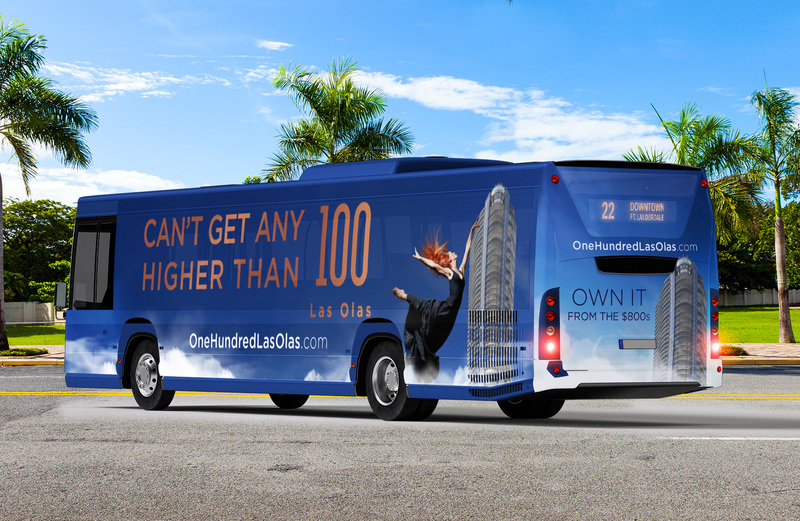 100 Las Olas is Fort Lauderdale’s premiere residence located directly on Las Olas Boulevard. This residence and hotel architectural dream offers a true haven within the excitement and energy of South Florida. 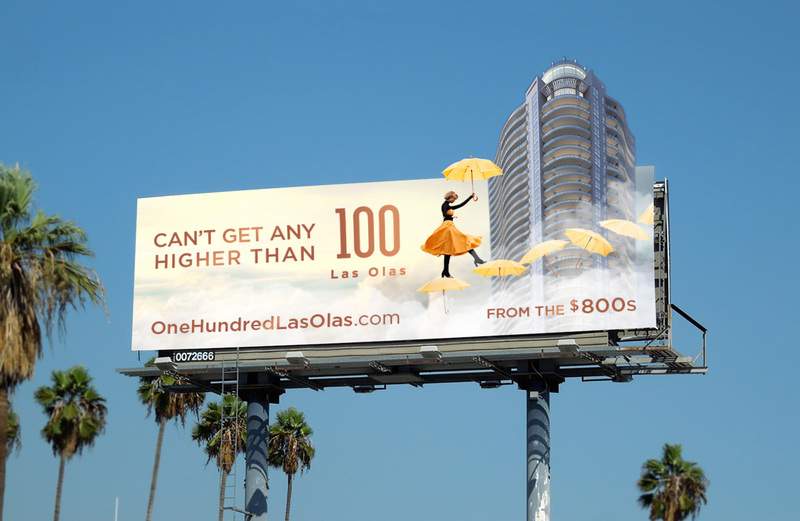 A new campaign was strategized for 100 Las Olas that revolved around the 360 degree lifestyle a resident can have. 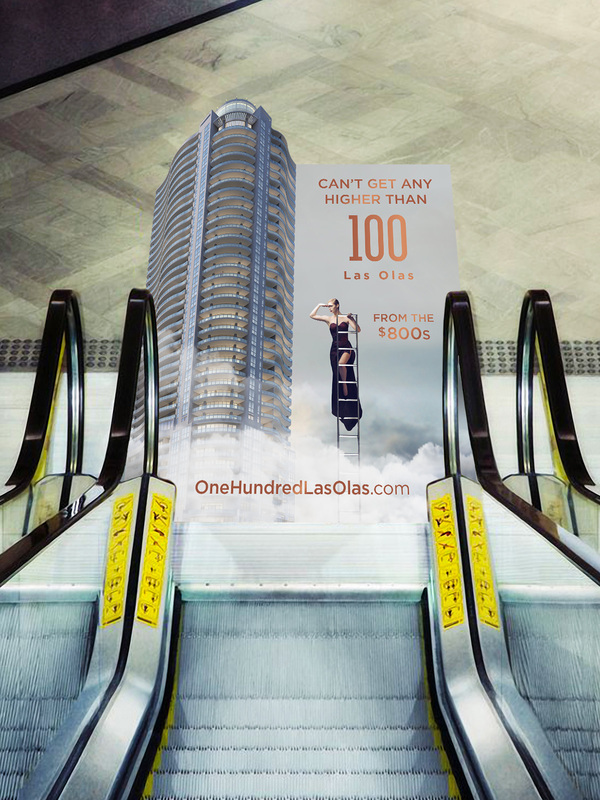 The campaign was developed to emphasize on Fort Lauderdale’s new tallest building and centralized around the key features that differentiate this property from every other residence around. An increase in sales and continued interest in this new building has proven these campaigns successful, with only a limited number of units still available. 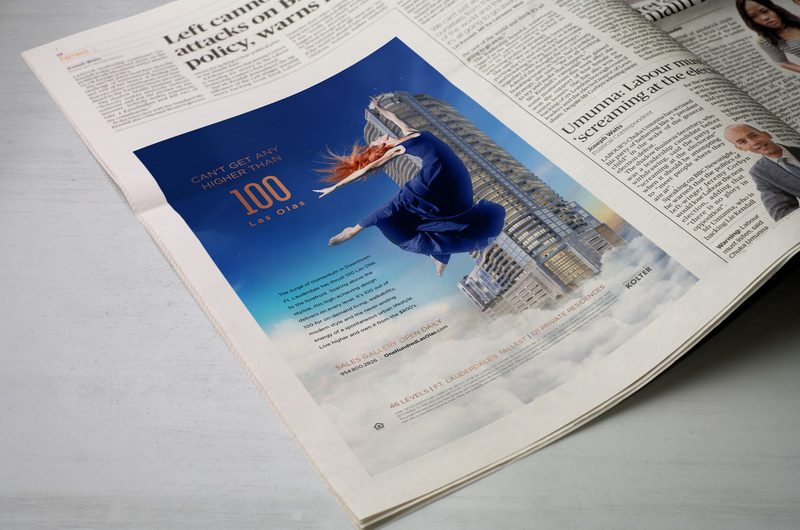 This story is communicated both visually and verbally throughout the campaign by discussing the amenities in detail, featuring stunning imagery of the residences and highlighting the panoramic views. Keywords like intelligent, architected, sleek and luxury, along with a well crafted brand story shaped the direction of the artwork.